3x-5x more cost-effective than the competition. At the required time window that you have set up in your Alarm Policy your staff will be able to check in via a mobile app, SMS, Phone Call or a PC. 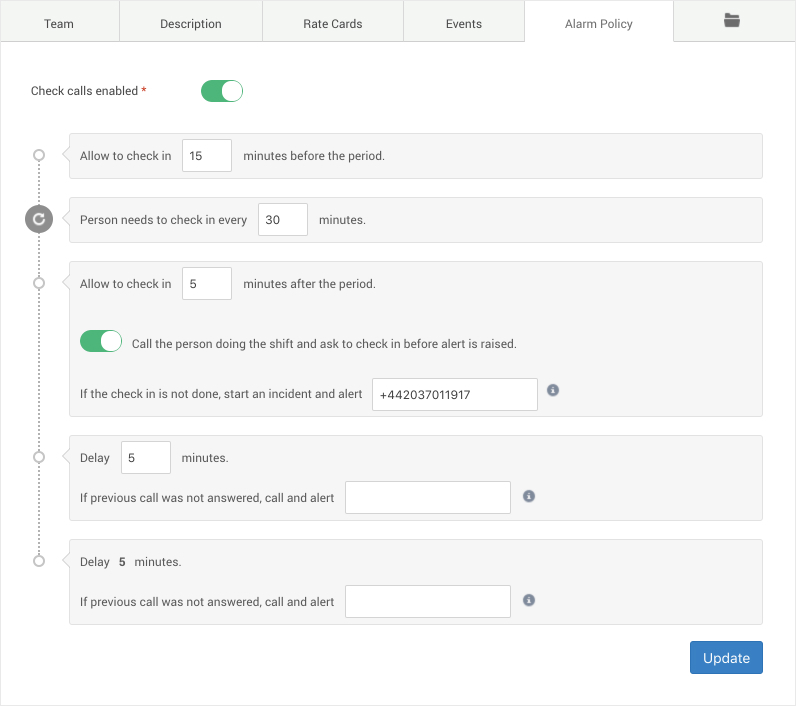 When your worker fails to check in on time the system will automatically call the numbers set up in your Alarm Policy with a message until you stop it. Per location rules for how often your staff needs to check in, during which time periods and what phone numbers to send automated alerts to.